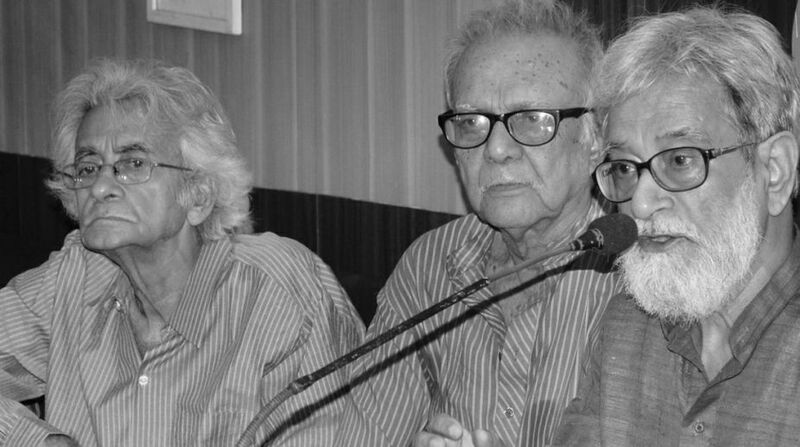 Intellectuals who had once rallied behind Trinamul Congress supremo Mamata Banerjee during her campaign to overthrow the Left Front regime in 2011, on Wednesday slammed the ruling Trinamul for its “brazen” show of muscle power and attempts to throttle democracy by not allowing a large number of Opposition candidates to file nominations for the panchayat polls beginning 1 May. “Free and fair polls are not being held for quite some time, but the ongoing large scale violence over filing of nominations for the rural polls has crossed the limit,” noted theatre personality Bibhash Chakraborty said. The state government’s failure to control violence has tarnished the image of the state, Mr Chakraborty said at a Press meet called by the intellectuals from various fields to protest incidents of attacks on Opposition candidates and supporters. 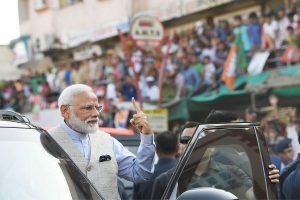 “It is very painful to see leaders whom we once supported are now acting like those who they have replaced and resorting to undemocratic means to win elections,” noted singer Pratul Mukhopadhyay said. In a democratic system, one can’t rule for long time by becoming autocratic, the noted singer said. Former state advocate general Bimal Chatterjee said, the state government was trying to cripple democracy by unleashing violence. “Ensuring a walkover for those in power in the state by preventing the Opposition from filing nomination is not good. It amounts to incapacitation of democracy,” said Bimnal Chatterjee, who had been appointed as advocate general by the present dispensation in the state and resigned later. “Innocent people are being subjected to violence and harassment. The leadership of the ruling party, the administration and the police are silent spectators,” social activist Miratun Nahar said. Several of these intellectuals had stood up against violence on the people of Nandigram during the anti-land acquisition movement in 2007 against the then Left Front government. Intellectuals must organise protest rallies to protest against unprecedented violence over submission of nomination papers during panchayat polls, BJP state president Dilip Ghosh said. “These intellectuals once supported chief minister Mamata Banerjee. They should apologise to the people,” he said. Without naming the intellectuals, the chief minister said that those who held a Press conference at the Press Club had gone there in the car of SUCI former MP Tarun Mondal. “How can allegations be raised since 74,000 nominations were filed by the Opposition parties?” Miss Banerjee wondered. Trinamul Congress secretary general Partha Chatterjee claimed that the data which the intellectuals used were incorrect. “If they had accurate data then they would have told a different story. We maintain a cordial relationship with these intellectuals and will give them the correct information when we meet them,” said Mr Chatterjee. Police on Wednesday arrested 13 members of the women’s wing of Congress for trying to enter the premises of State Election Commission office at Rawdon Street where Section 144 has been imposed since on Tuesday.